As mothers, we spend almost every waking moment worrying about our children. Are they sick, did they eat enough, are they hurting, did they sleep enough, are they falling behind, are they supposed to know all their colors by now, did they have too much sugar, are they okay?! I can’t promise that there will be fewer worries about everything, but I’ll tell you this, by adding a great probiotic into your child’s diet, you will be supporting their second brain! The gut controls over 70% of all diseases and is known as our second brain. A good diet and a great probiotic can help with digestive issues, skin irritations, eczema, sleep, increased immune support, and aid in more water intake. Supporting your gut health in your little ones is extremely important. My favourite probiotic is XFactor Kids by Plexus. This product is not only a great probiotic for their little tummies but also a vitamin all in one! Adding this immune booster to my child’s diet leaves me less worried about the world filled with pollutants, germs and harmful bacteria that can reek havoc on their little bodies. This chewable vitamin and probiotic tastes so great my littles refer to it as a treat! I love that it is not a sugary gummy, but a great chewable that leaves no sugary mess on their teeth. I would love if my children only ate 100% whole foods, but they don’t! Probiotics and vitamins help bridge the gap between what they do intake and what they need to intake. 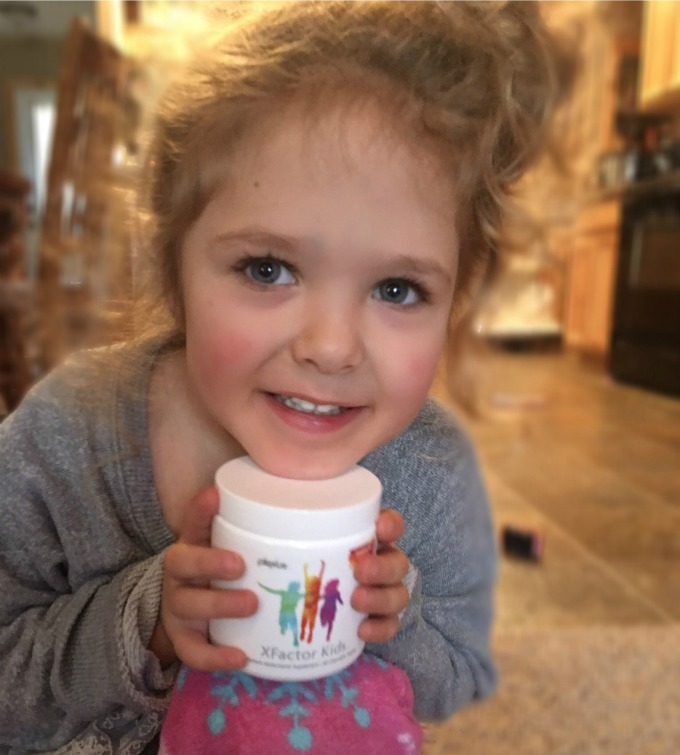 My 2, 4 and 11 year olds all take this product and love it!